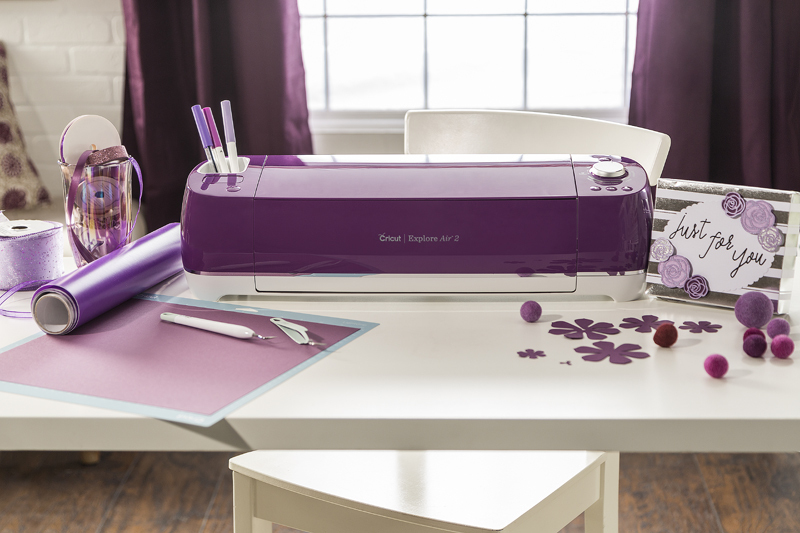 The New Bold Cricut Explore Air 2 Family – There’s a Hue for You! 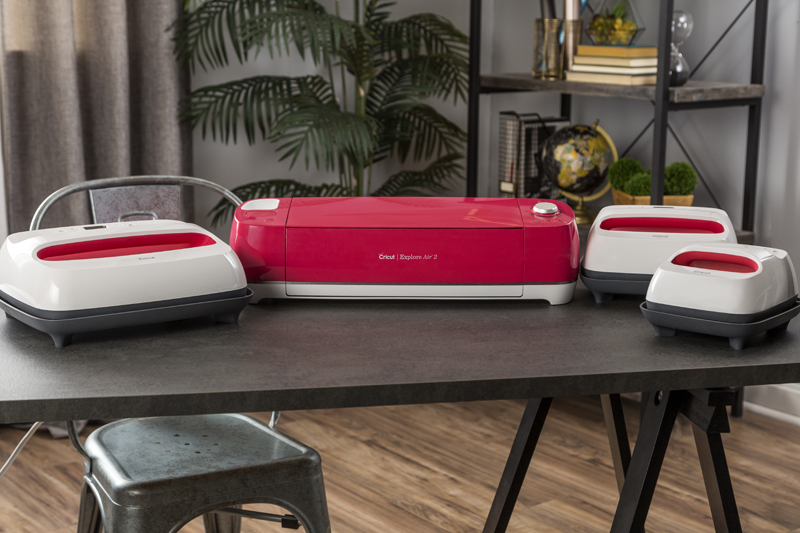 Cricut is excited to announce a new lineup of beautifully bold Cricut® Explore Air™ 2 machines! With 8 new colorful additions to the family, you can express your personality like never before. 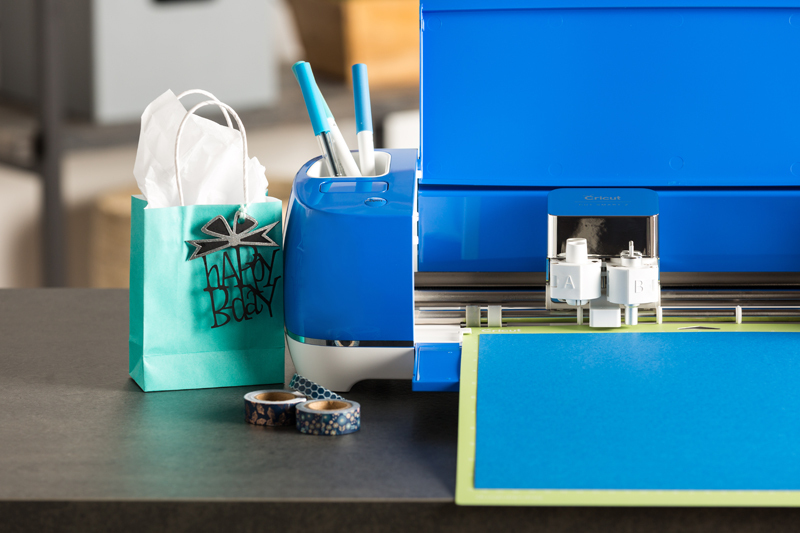 Choose from colors like Sunflower, Cobalt, and the new Raspberry – to perfectly match your brand new Cricut EasyPress™ 2 machine – and you can cut in every color! No matter what hue says you, you can cut over 100 materials – everything from cardstock, vinyl, and iron-on to specialty materials like glitter paper, cork, and bonded fabric. 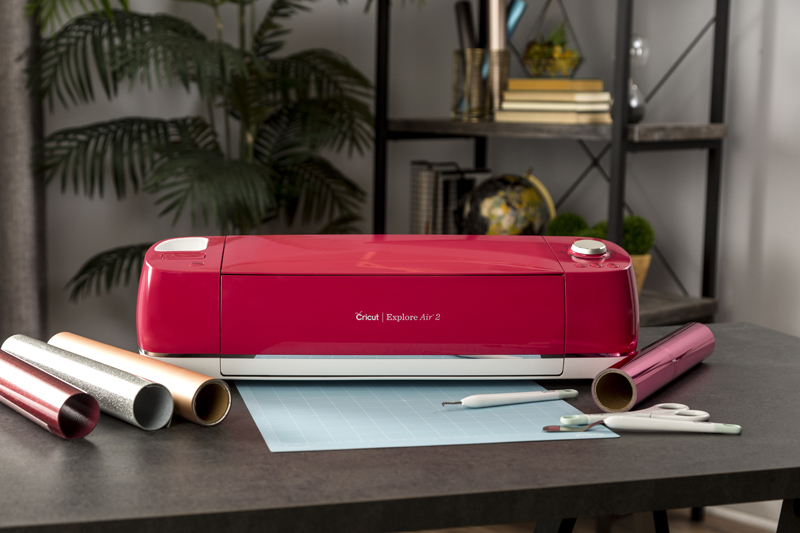 Whether you love making cards, custom T-shirts or home decor, these bold machines will not only create flawless projects, they’ll look good doing it. Personality Quiz: What’s your craft colorology? o Do you love bold new ways to dress up your craft room? o Do you craft in color and love making T-shirts or other iron-on projects? o Do you love perfectly matched palettes that make your projects look flawless? 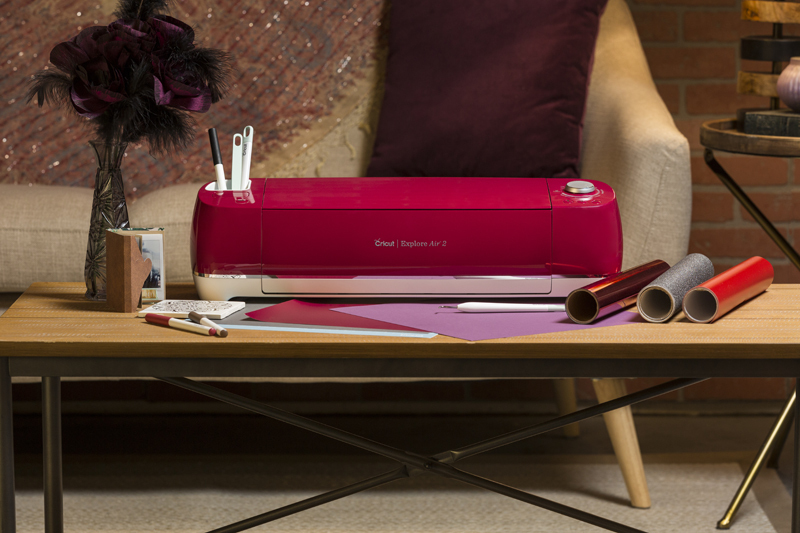 If you answered yes to any of the above, we know your taste: Bring home a match made in heaven with our Cricut Explore Air 2 in Raspberry to perfectly complement your brand-new Cricut EasyPress 2! This beautiful color adds just the right amount of pop to any craft room, whether you’re cutting, scoring, or pressing. 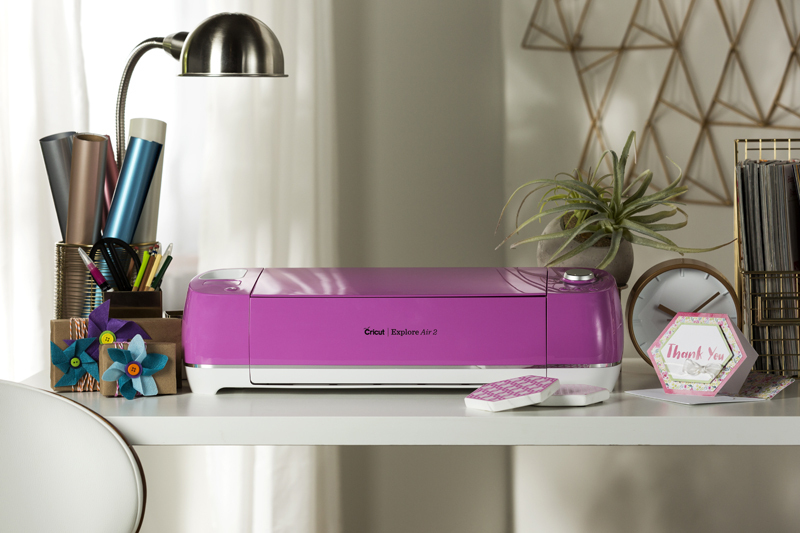 These beautiful new colors from Cricut can be found online and in stores near you this fall. Each color has been thoughtfully placed in an exclusive retailer, so check out our list below to find your dream color. 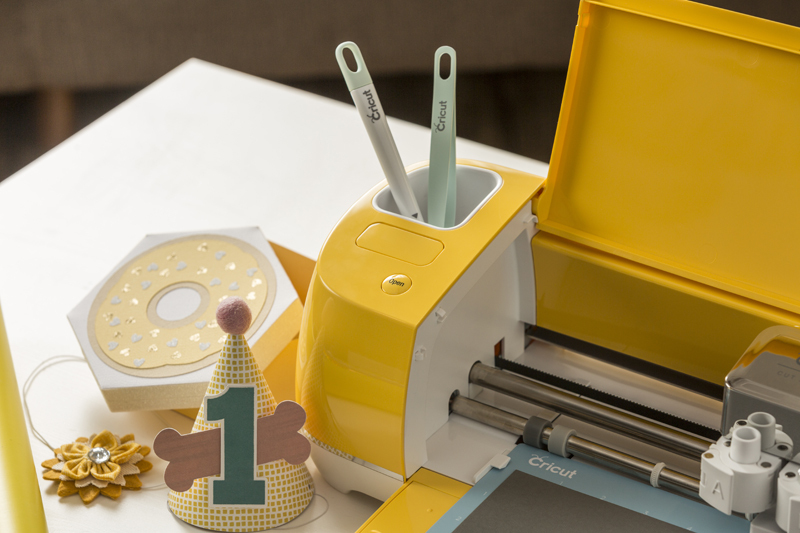 Learn more about Cricut, including the machine, Design Space®, supplies. We are so excited about these colors and would love to hear from you. Comment below with your favorite color! Yes it does, and more! I love, love, love the pink one. My craft room is done is white, light grey and pink, so the new pink one would look amazing on my desk. I absolutely cannot do any crafting with out my Cricut. Made 32 T-shirts for my family last Christmas and ornaments with their names & a design. What can’t you do with the Explore Air 2? I scrapbook too. I just bought the maker…..can’t you come up with the same colors for the body……not just the top? Love love the Boysenberry.Are any trade in discounts going to be offered? I have a real problem with all these colors. Hobby Lobby had a color assigned to its store, JoAnn Fabrics had a color assigned to its store only. If you really want to match your accessories, they don’t always make them in the color you have. And now they are adding even more colors? If I want to buy the 3 sizes of the press, it only comes in Raspberry. Are them making them all to match a HL color or a JoAnn’s color? I’m sure there are alot of people that just can’t keep buying new colors. And what about the light pad, does it come in all the colors? Personally I don’t want such a mixed color combination. I keep waiting thinking they will eventually get more accessories in other colors. Doesn’t seem to happen. Disappointing to me. Is there anyway I can trade for this?!! So… I am pretty new and I thought the Maker was basically the latest model. In essence replacing the Air Explore 2. So…my question is..why offer both? Price point? Is there something I need to know about the Air Explore 2??? 😀 Might need a friend for my Maker. Hi. We are still making the Explore Air 2 machines. Think of it like regular vs. luxury cars; both are great and work well. We have the Maker as our “luxury” model that can do so many things like cut crepe paper all the way to leather. 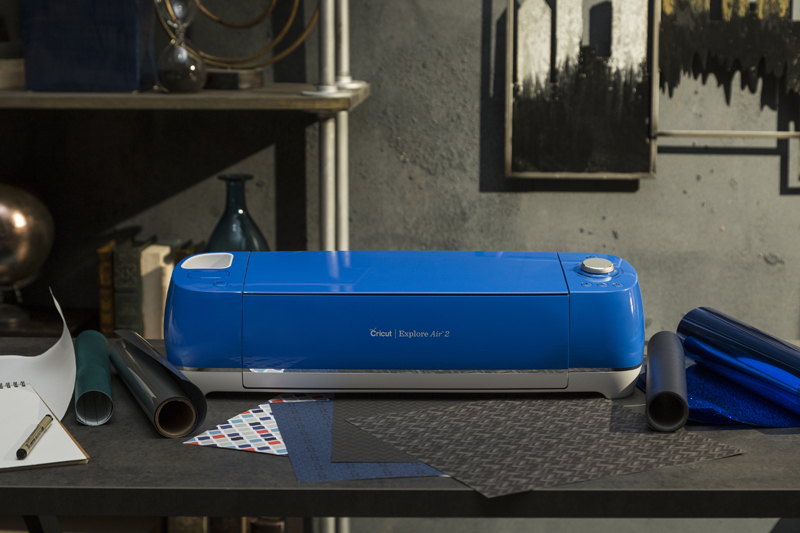 Some people don’t need or want the capability to cut fabric, for example, and find the Air 2 completely suits their needs. I owned the Cricut Personal and pulled it out of the basement to see if it could do what I wanted. I learned about the Design Studio and called Cricut only to find that the Cricut Personal is no longer supported by to company. I began researching and wasn’t confident of the differences between the Maker and the Explorers Air machines. Because of the ability to cut leather, I made the decision to purchase the Maker on Friday. I appreciate Cricut answering this very question because I wasn’t sure if I made the correct choice. This answer helped. Now I just need to learn how to use it. I love the persimmon, but am planning to buy the Maker so I can work with fabric (I’m a seamstress). Any idea if the Maker will be offered in Persimmon anytime soon? Well the cricket explore air 2 cut chipboard? You can cut thinner chipboard with a deep cut blade. It will likely take several passes. I just love the machines. So true! I love Boysenberry, and upgrading my E-One may be a necessity anyway so it might work out the best of both worlds in the end! Will you guys still have the old colors available for example the baby pink that sells at joann’s store. I’m saving to get that one.. I love the Raspberry one. I had regular explore air, but got the Raspberry. Love it!! The raspberry is showing almost salmon on my phone. Is it truly a raspberry( pink) color? This is definitely more on the red/pink side vs. salmon. I am not a Cricut owner yet, I love the Sunflower color. I’m thinking of getting the Explore Air 2 and was wondering if you all planned on having this color with any of your other tools/ accessories. I’m planning on getting the press and the light pad. The colors are nice and I have some favorite’s, but I prefer a mixture of the white trimmed in purple of my cricut explore. The colors for me are just a little bit to dramatic! I love color with an accent! There is orange–it’s the persimmon one. It’s gorgeous. I have it on my desk and it’s my favorite one. I just received the Raseberry its pretty but on the pink side vs red side. Hard to see true color on line. Not what I was expecting but the color doesn’t matter, how it preforms matters. I will keep it. Happy crafting….. I would love a bright white on bright white on bright white!!! Please make one for us girls who love white!!! I emended seeing someone with a Lime Green Cricut Explore Air 2 and wanted to know where I can order one. Please advise at your earliest convenience. Hi. Are you perhaps thinking of our Explore (which had some line green at the bottom) or one of our earlier machines? We unfortunately do not have a lime green color among our rainbow of options. 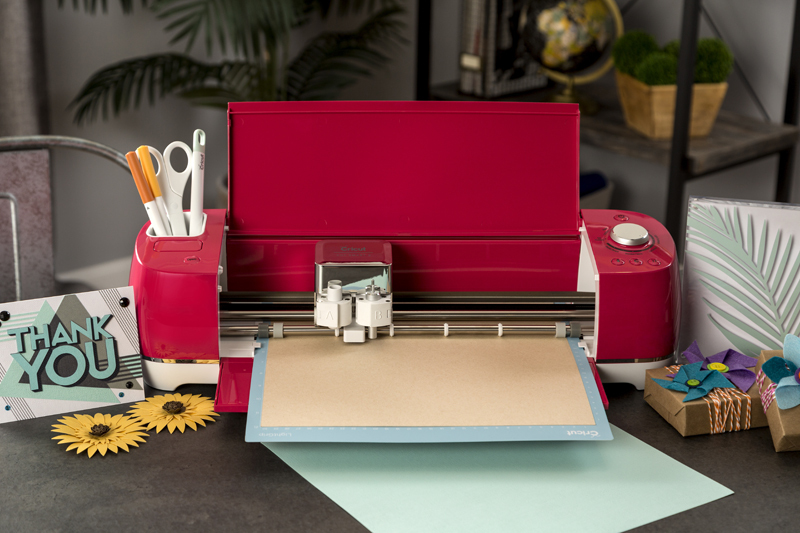 The cricut Maker will be on sale today, for 50% off. The website is through Good Morning America. GMA deals and steals.com, at 1:45pm Eastern time. 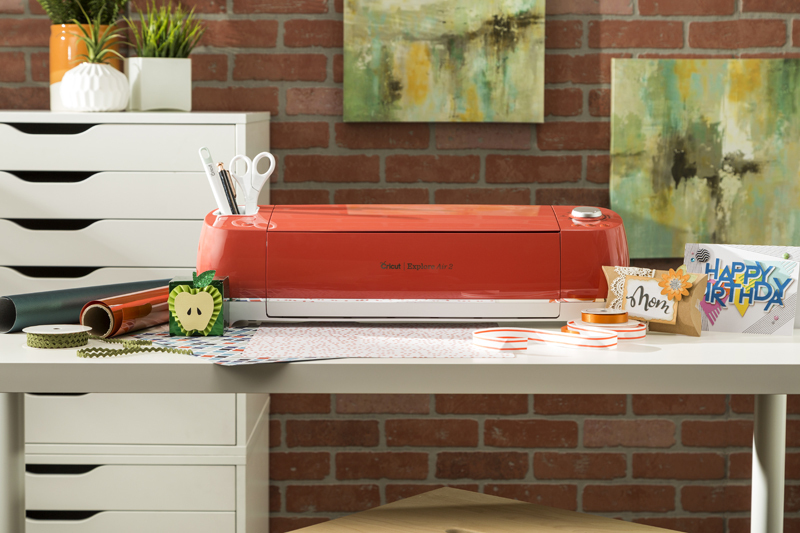 Which cricut machine is the latest on the market? Hi. The newest machine is the Cricut Maker. Love the new “Persimmon” color. I replaced my first Cricut with the Explore Air. If I buy another my husband may shoot me. I donated my first Cricut to my daughters office. She is a Speech-Language Pathologist and works in Pediatric therapy. Is there any way I can purchase a new cord for the first Cricut? I lost the first one in a move.Thanks for having very helpful and caring people working for your company. Does anyone know if there is a trade-in program for Cricut machines? I still have my Cricut Expression and currently own the Explore Air, but I’m looking to purchase either an Air2 or Maker. I don’t want to have all these old machines stacked in my craft room, but also know that there isn’t really a market out there to sell used machines, especially if they are several generations old. It would be great if Cricut offered a trade-in similar to what Apple does with their devices. …so many pretty colors! I’ve never felt the need for a bucket list until it was time for me to purchase my first Cricut…and then I saw all the colors. Yep, time for the bucket list! I think Cricut should donate the sunflower one to a poor music teacher…aka LSHundley! With the Air 2 I can make shirts ect correct? Just can’t cut fabric? You can, yes. You can cut fabric if you add bonding first to make it stiffer. Hi. These are all new colors of the Explore Air 2, so if that’s the machine you want, these are all possibilities. What is the difference in the maker vs the air 2? I am new to cricut and heard that the Air 2 is having some problems. Any comments on that? Hi. Do you have any details as to what problems were mentioned? Can I use my IPad with the Maker? Yes. We have an app in the iTunes store. As with other posters above, I would love for the accessories to match the new colors! I would love everything to match!! I just picked up the Denim color at Walmart and am so excited to get started!! just got back from Joann”s fabric and they have a light purple or lavender machine and I am not seeing it here. Is it a older model? Some colors are exclusive to specific stores. The Wisteria model at Joann is a current Explore Air 2 and that is where one would buy it. In reading reviews, is it correct there is a monthly fee to download the software? If so where does your product description mention this? Hi. Design Space is free to use. There are some free images, fonts, and projects available, and you can upload your own also. 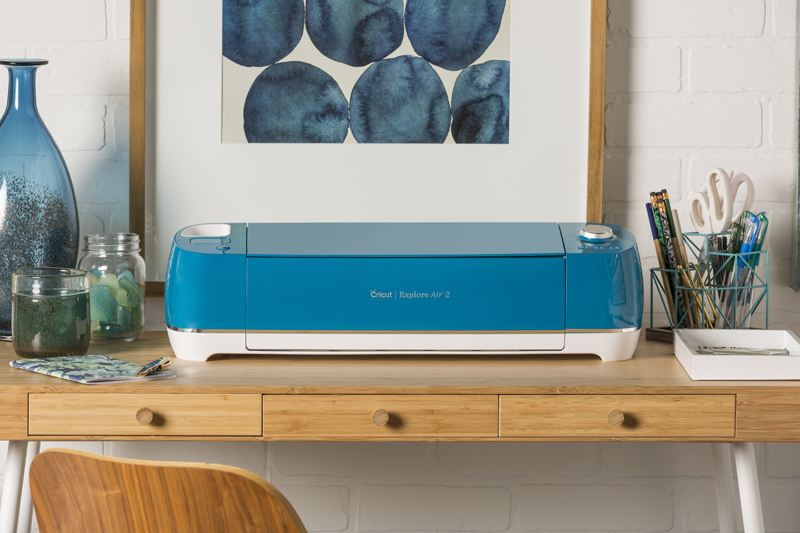 We have a subscription service called Cricut Access which has a monthly fee. You get access to thousands of designs, hundreds of fonts, a discount in our shop and more. You can read details about that HERE. It’s not listed here, but I got my BEAUTIFUL CORAL colored Cricut from Michaels!! Can’t wait to open it for Christmas. I need the white cord that connects from the cricut air 2 to the computer. My box did not have this cord inside. Please let me know how I can get one?? Hi. You can visit cricut.com/chat to see options on how to contact us about this. Sorry you did not receive one. Waiting for the Maker and other products to be produced in matte black, just as the EA2 was last year. I love that color, and I figure it will be released later. I love the Merlot color but will not shop at Hobby Lobby due to their corporate culture. 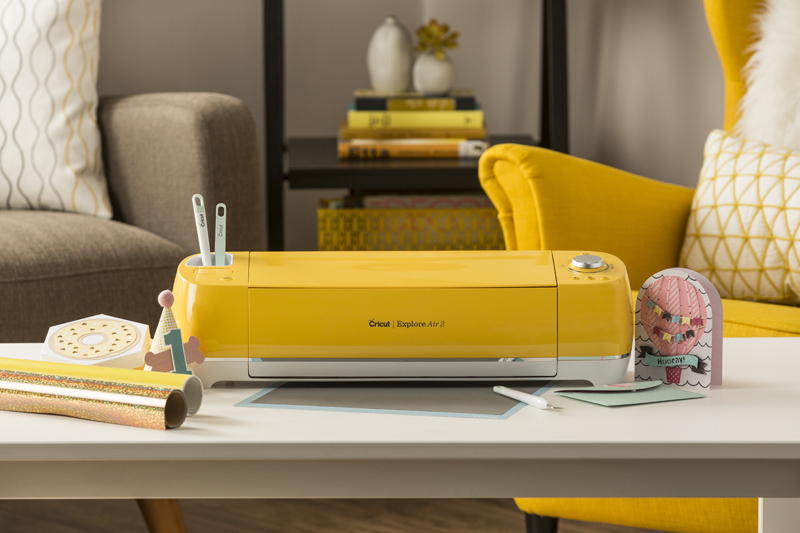 I just got the Cricut explore air 2 in persimmon and I am looking to buy ALL the accessories that match. Will you continue to make this color and if so when will the products become available, because right now, I can’t find them anywhere. Peacock is heart indeed. I will continue selling Graham balls so I could save for this machine.. *dreamy mood* this is truly a dream machine for every crafter.. Will not lose hope even if it will take me a long time to have this.. Will the colors be available in the Philippines soon? I love my Sunflower Air 2…but I am petrified/intimidated about using it! Watch lots of videos…but yet have to plug it in!! I have the Air 2, can I use the needle that came with my machine to cut fabric that has the bonding infused? or is there a different needle I need to use. Love all the colors. Ever seen a Smart car? You can switch out panels with another color. Wouldnt it be cool if the color panel on the Cicit could be changed randomly?